I have two more cards to share using the Die'sire Create-A-Card, Romance die. and the Memory Box Fresh Foliage Die for the greenery. A tiny bow, and instead of embossing the small circles I paper pierced them and added tiny peel off dots to the centres. This one I made for our son and just wanted to keep it fairly simple but elegant. 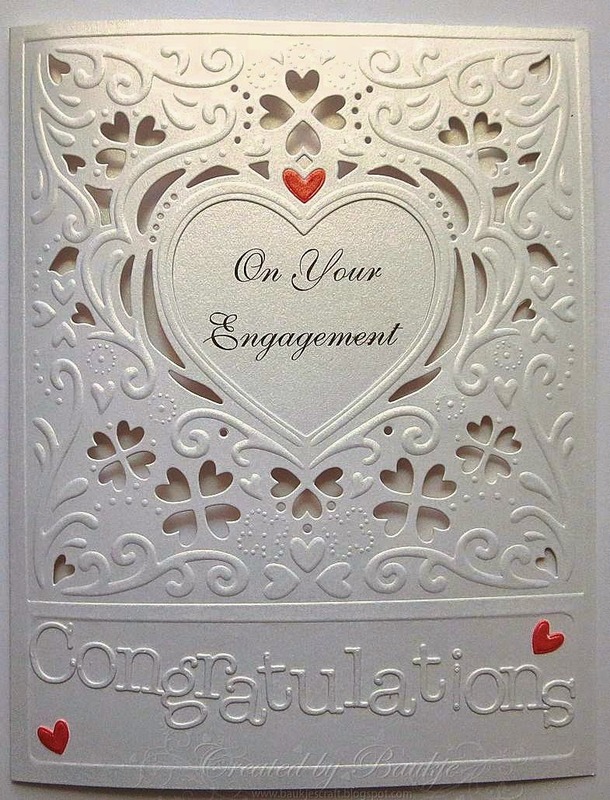 All I did was colour a few of the hearts that got cut out from the die and glued one back in where it came from and placed the other two around the Congratulations which was cut from the Memory Box Typewriter upper and lower case Dies. Happy New Year to you all, I hope you had a wonderful Christmas. 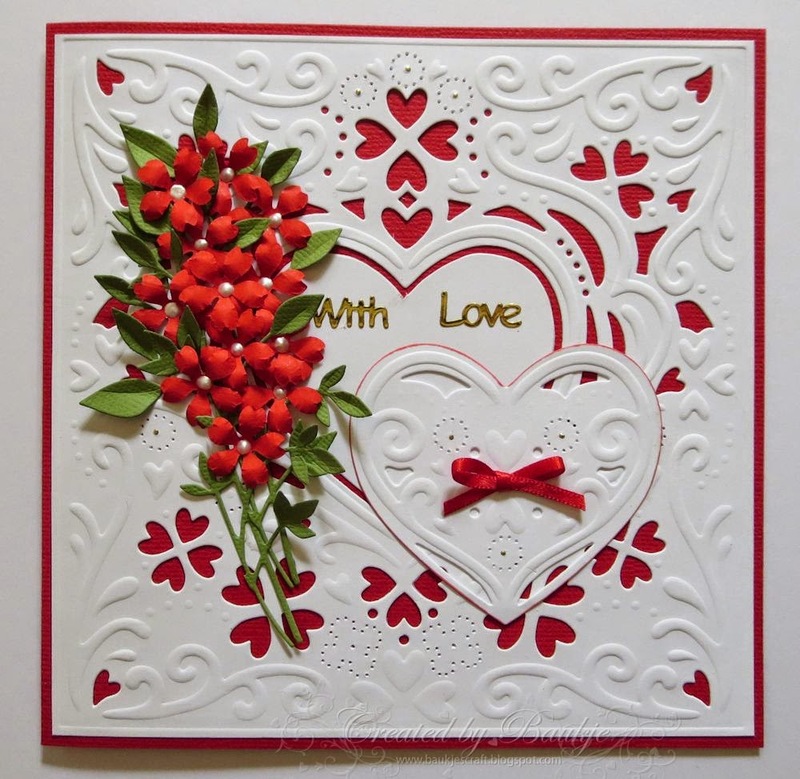 My first card for 2015 I made for FatCats Card Gallery and was made using Die'sire Create - A - Card, Romance die. 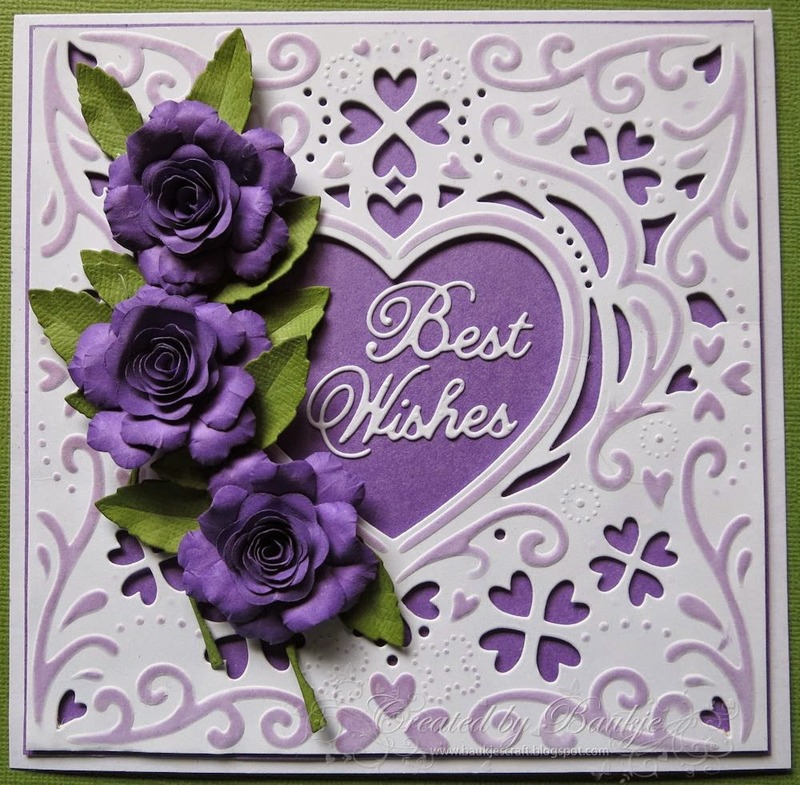 I added some roses using the Die-namics Hybrid Heirloom Rose die and the Cheery Lynn Best Wishes Die.